Wimpie Smit, co-owner of AMW Boerdery in the Western Cape, spoke to Glenneis Kriel about beating the odds in a tough market and managing a fickle crop. AMW Boerdery, on the farm Jakkalsvlei southwest of Clanwilliam, has been producing between 460kg/ha and 470kg/ha of rooibos in net clean weight annually, since the farm began formal record-keeping in 2001. Wimpie Smit, co-owner of the farm, credits the results to sound production management and favourable climatic conditions. He says the average annual rainfall on Jakkalsvlei is around 425mm, which is almost double the precipitation for most farms near Clanwilliam. The higher rainfall is nevertheless a double-edged sword. In dry years it buffers Jakkalsvlei against the drought conditions other producers might have to endure. But it has a negative impact on production during wet years. “Spring rain does not really affect farms in the drier regions, but it causes serious fungal problems on our farm,” he explains. How soil is prepared before planting and used has a huge effect on production, says Wimpie, adding that ripping and tilling is especially important to loosen the soil and manage weeds before planting. He usually does a deep rip of 60cm to 70cm. He adds that plant material harvested from un-ripped soils are up to 20% shorter. Pest management is tricky, as there are few registered products available. Looper worms, leafhoppers and clearwing moths are the most prevalent pests. “The broad spectrum insecticide, Mospila, worked well with the clearwing moths, but the product is being phased out because of its harmful impact on bees. 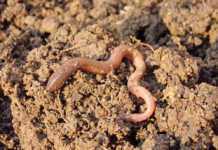 “Delegate, which also offers broad-spectrum control of damaging insects, works well for looper worms, which usually appear between September and December after a good rainfall season followed by some heat. Delegate, nevertheless, is not ideal, because it has a two-month withholding period,” Wimpie explains. The rooibos lands are regularly scouted to identify problems. The farm also uses crop rotation and buffer zones to reduce dependence on pesticides. The buffer zones are patches of natural veld around all the rooibos plantations, and they create an attractive habitat for insects that may keep pests in check. The zones also serve as an alternative habitat for potentially harmful insects. Wimpie estimates that the farm has 10ha of veld for every 40ha of land planted to rooibos. The crop rotation programme lasts eight years: five years of rooibos production, followed by three years of oats. “Oats not only helps to improve soil fertility and break the disease cycle associated with rooibos, but also helps to add value to production in the form of grazing for our sheep. Our sheep concern consists of about 300 ewes,” Wimpie says. The farm has 450ha planted to the rooibos as part of the rotation system, with 300ha of rooibos being harvested per year. “We plant between 70ha and 80ha of rooibos and leave about 10% of the land fallow each year,” he explains. Conservation farming practices are, as far as possible, used during the oats cycle. Rooibos plant material is worked into the soil at the end of the rooibos cycle and then replaced with oats. “We try to improve the soil structure and bring new life to the soil by working plant material back into the soil. Oats stubble is, subsequently, also retained during the oats cycle,” he adds. In spring, following the third year of the oats cycle, the soil is ripped with a mouldboard plough and left to lie fallow for a year. Wimpie plants tall-growing rye as a windbreak against the eastern wind, which can cause serious plant losses by blowing sand against young seedlings. This is done after the first rain in April. 7 000/ha, are planted in drier areas. More, up to 12 000/ha, are planted in more fertile soils. Wimpie says there are farmers who plant up to 18 000 seedlings/ ha, but he thinks there needs to be a balance. He believes that plants that are planted too close together will result in bushes competing, which could produce smaller plants. Seedlings have been cultivated at AMW Boerdery since Wimpie started farming in 1989. “Eight to nine kilograms of seed is needed to produce about 100 000 seedlings, but we have produced up to 130 000 seedlings before, during good years. “The benefit of producing your own seedlings, is that it helps to save costs, you know what you get and the seedlings are acclimatised to the conditions on your farm. We follow the production recommendations of Dr Sandra Lamprecht of the Agricultural Research Council. They are truly fool-proof,” he says. As seedlings are always planted in wet soil, some producers plant seedlings with water, but Wimpie still plants the old-fashioned way: by hand and after rain. How rooibos should be fertilised is contentious, and some farmers have started to use slow-release fertiliser. Wimpie is not doing this yet, as he doesn’t have equipment to do so. “We do soil analysis at the end of the rooibos cycle and then address shortages while planting oats. We use about 70kg/ha of 3:2:1 fertiliser (high nitrogen granular fertiliser) each time we plant oats,” he says. Rigorous weed management also boosts production. 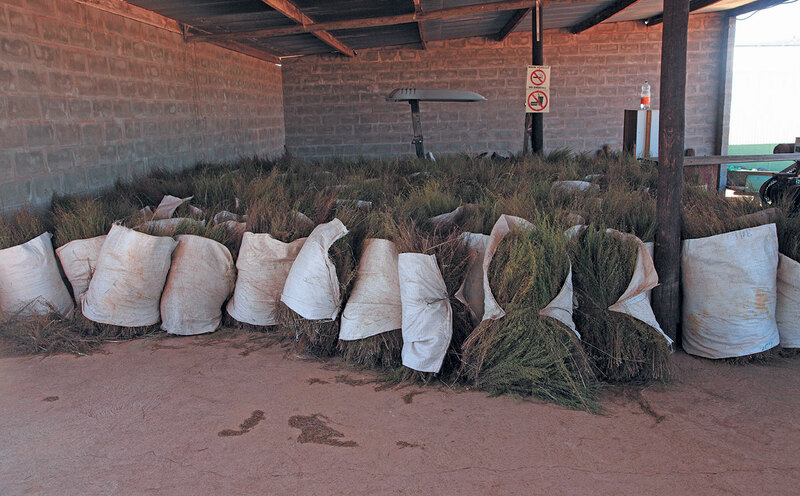 According to Wimpie, weeds left to grow compete with the rooibos and “all reeds, ryegrass and other plants are therefore removed by hand during the first two years after rooibos was planted”. Conservation agriculture practices are also used as far as possible during the oats cycle. 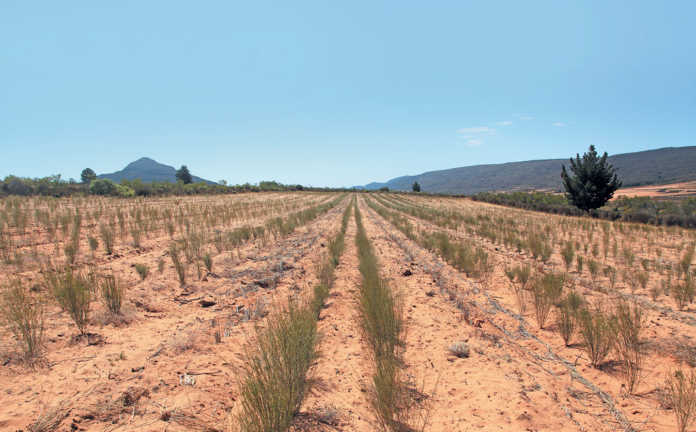 Rooibos plant material is worked into the soil at the end of the rooibos cycle, before planting oats. 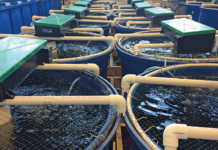 “We try to improve the soil structure and bring new life back to the soil by working plant material back into the soil. “Oats stubble is, subsequently, also retained during the oats cycle,” says Wimpie. Rooibos is topped in April of the year after planting. Lower-quality topped plant material is sold separately. It is harvested from January to April, but this may start as early as November if it looks like a bumper crop. Harvesting is done by hand on most rooibos farms, with harvesters using a sickle. If high rainfall is experienced in April, harvesting may be extended up to May. According to Wimpie, the best quality rooibos is harvested between February and March. Harvesting is done with a sickle. “Tea harvesting has become a way in which workers can greatly enhance their income, as it is paid for as piece-work. “The 12 people who harvest tea on our farm earn at least R220/day, and the most productive ones are making up to R395/day,” he says. Rather than selling tea, Jakkalsvlei dries rooibos on the farm before selling it to Rooibos Ltd. Wimpie says tea is risky as some farms will find it difficult to compete with established companies. “Prices for rooibos are currently at a record high due to a shortage of tea. Rooibos demand is around 15 000t, but it seems that the industry will only produce around 12 000t this year. “Carry-over stock has also been depleted due to the reduced harvest caused by dry climatic conditions last year,” he says.